Is Turkey Starting a Proxy-War on Behalf of NATO against Russia? Did Turkey just provoke a proxy-war on behalf of NATO against Russia? – Turkey knew very well that the Russian SU-24 fighter jet was inside Syria’s borders and that even as it may have been close to Turkey it was no threat for Turkey. Russia’s mission was clear to all the 19 nations which attended the G20 meeting some 10 days ago in Antalya, Turkey, when the entire group unanimously decided to cooperate in fighting the Islamic State (IS – or Daesh, according to its Arabic acronym). This ‘voice in unison’ seemed to have been prompted by the Paris massacre on 13 November, which was allegedly claimed by ISIS / Daesh. 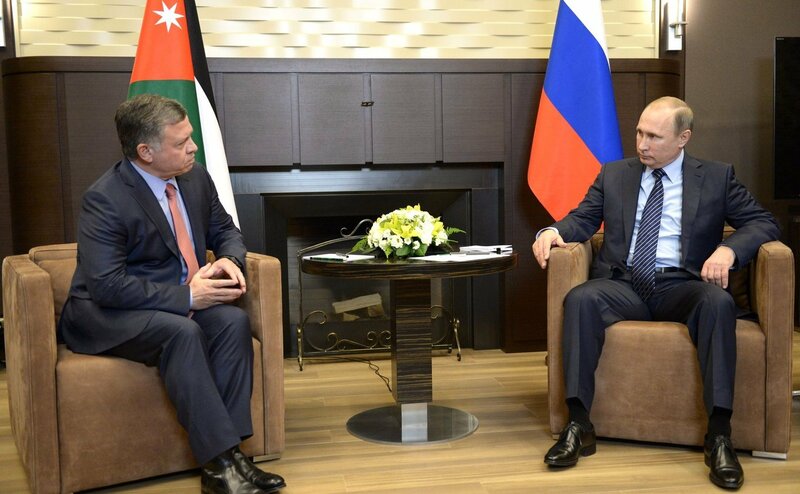 – Was the agreed ‘cooperation’ to jointly fighting terrorism all hypocrisy? – An international arena to spread lies and make-believe that there is hope to eradicate the all-fearsome terrorist threat in the heart of Europe? It might well be that Turkey got marching orders from Washington to know no mercy for Russia and Russian fighter planes. Never mind that past Turkish-Russian relations have been good. As recent as a year ago, Turkey was ready turning her back to Europe and eyed instead at joining the SCO – the Shanghai Cooperation Organization, led by China and Russia, where most Central Asian former Soviet Republics are members, and with India, Pakistan and Iran in the process of also associating with SCO. But then again, Turkey, on the divide between Europe and Asia has historically been wavering between East and West – according to the motto, let’s see who offers the most, including recent talks by Mr. Erdogan and Madame Merkel, whereby the former offered to control the flood of refugees for a little help from a friend in the amount of three billion euros. “Our servicemen are engaged in a heroic fight against terrorism, not sparing themselves or their own lives. However, today’s loss is a result of a stab in the back delivered by terrorists’ accomplices (emphasis added). There is no other way I can qualify what happened today. “We have long been recording the movement of a large amount of oil and petroleum products to Turkey from ISIS-occupied territories. This explains the significant funding the terrorists are receiving. Now they are stabbing us in the back by hitting our planes that are fighting terrorism. This is happening despite the agreement we have signed with our American partners to prevent air incidents, and, as you know, Turkey is among those who are supposed to be fighting terrorism within the American coalition. 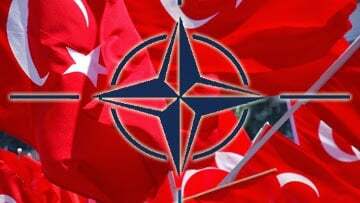 It is clear, Turkey a prominent NATO country, follows Washington’s orders. Hosting the recent G20 meeting and subscribing to the east-west ‘coalition’ of fighting the ISIS / DAESH / Al Qaeda terror, was a loosely disguised farce. Washington needs a large-scale war. Her masters, the military industry, Wall Street, Big Oil – and not to forget AIPAC, the all-powerful Israeli lobby – ask for it. The US economy is faltering, as it always did before the onset of a major war, including the two world wars; and Israel’s ambition to become the ruler of the Middle-East is under the war criminal Netanyahu more alive than ever. If Russia were to retaliate within Turkey’s borders, it could be construed as an aggression against a NATO country which under the rules of the Trans-Atlantic alliance is a free pass for NATO to wage war against the aggressor. Should Russia fall into this trap – which most likely Mr. Putin will not – it might be the first step towards WWIII – to be played out in the Middle-East. Whether nuclear or not, such a war would risk leaving the entire MENA (Middle-East and North Africa) region in shambles, destroy what still stands, including ancient culture dating back to the cradle of our current civilization, and most likely killing millions, and further increasing the flood of refugees to Europe. No need to destroy Europe with bombs. Destabilization from the consequences of a MENA war would reduce Europe to a wasteland of serfs – serfs to the Great Dictator. Waiting in the wings are already the TTIP and other atrocities instigated by the Zionist led elite that directs the Washington war-machine. For example, the western dollar-based monetary assault on Europe – a forced cash-free society, banks imposing negative interest on peoples’ savings and planned bail-ins for failing banks – would leave the European populace powerless – ready to be stripped of any economic and financial assets – worse than what the troika did and continues doing to Greece (www.globalresearch.ca/hang-onto-your-wallets-negative-interest-rates-the- war-on-cash…trillion-bail-in/5490376). Could today’s action of impunity by Turkey be the trigger of such a war? – A conflict that would reopen all doors that Washington saw gradually closing, like the regime change in Syria, questioning the Iran Nuclear Deal, keeping all criminal sanctions in place – sanctions – we must all know – only function as long as we, the West, are at the mercy of the western dollar based fraudulent monetary system. In the meantime the bought western media – CBC, CNN, BBC and their continental European partners – keep slandering Russia as the aggressor who deserves what happened to them; she is also the cause for the rapid spread of terrorism to the heartland of Europe – and of course, Russia’s fighting terrorism in Syria is also responsible for the flood of refugees engulfing the Old Continent, right before winter, when it is most difficult to absorb them with safe and humanitarian shelter due to lacking infrastructure. Who needs a war in Europe if propaganda induced destabilization achieves the same objective – economic and social hegemony. If the West is successful in turning back a public opinion that has since Russia’s widely successful air raids against ISIS / DAESH in Syria rapidly turned favourably towards Russia, it would indeed bring Washington one more step closer towards what the PNAC (Plan for a New American Century) likes to call it – Full Spectrum Dominance. But Vladimir Putin, the brilliant geopolitical chess player, won’t fall for it.